International PR – is it worth it? Is undertaking an international PR campaign a major challenge fraught with risk, cost and cultural challenges? Or now, thanks to the digital age, are we entering a new era where international PR campaigns have never been easier to implement? 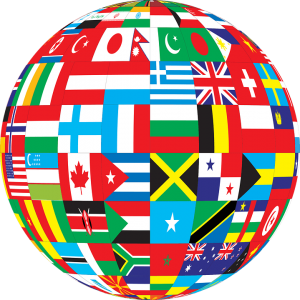 In this blog post the team at PR Agency One look at the pros and cons of international PR. While you might feel weary about the idea of spending extra money to export your brand abroad, it could potentially reap big rewards. Winning over global customers opens up new income streams and the return on investment in terms of leads and sales will speak for itself. It is important to make a decision on whether you want to appoint a single agency to cover the entire international remit or appoint individual agencies in each territory. Each strategy has its advantage and of course, appointing an agency in each territory is clearly the most expensive solution. A more cost effective solution is to find an agency which can manage PR centrally from one location. When choosing to undertake an international PR campaign it is important to work with a partner who has a commercially advantageous time zone. For example, here at PR Agency One we have clients in the US, South Africa, Europe and China and, thanks to the time zone, we can service all these clients at some point during the working day. For the US it is important to prepare all content and communication to take place in the afternoon (British time) to ensure the Americans are online. Likewise for Hong Kong it is important to be prepared for early morning conference calls (8am or 9am). South Africa is currently only two hours ahead so working with that part of the world is very easy to do from the UK. What works really seamlessly is international PR with China. As a huge growth market it is possible to work jointly with the Chinese, so when China is sleeping the team in the UK is working hard. Likewise, out of office hours here in the UK are when the Chinese are most active. So if planned correctly, it is possible to have a 24 hour operation which flows seamlessly. Planned badly however, and things can go wrong, so preparation is key. Now more than ever media organisations are global. The Daily Mail is one of the world’s most read news sources, the Guardian has moved to a .com domain to appear more international and likewise, some of the larger US and European titles are publishing international versions online. Some previously foreign language titles are now publishing in English and vice versa. So there has never been a better time to target international media. It has never been easier thanks to email, social media and Google bringing the world together. Look to your competitors. Which markets are they active in? There’s probably a reason they have dedicated marketing and press support aimed at the area – find out why. By determining potential opportunities before devoting valuable time and resources, PR and communications can be tailored accordingly. Whether it’s B2B or B2C, understanding the local press can provide an insight into the market and topical points of discussion. Look for regular features on certain topics and call the editor to see if and what he already knows about the brand. Are there enough relevant publications to make it worth your effort? Many of the key publications are also online but it might be surprising to find that some countries still lag behind in terms of online presence. While it’s often seen as the universal language of business, English is not universally understood. It would be presumptuous to develop a pan-European campaign, for example, without first translating the materials into the local language. This rings true across all marketing and PR platforms. Consider a language microsite with keywords that are specific to the area and regional search engine (note: not all countries use Google as their number one search engine). Trade shows can also signal that the region has growth in a particular sector, or it’s an established market. If there are relevant trade shows, it might be worth the trip overseas to visit the trade show before attempting to break into the market. Talking to exhibitors and investing in a bit of market research can be invaluable in order to understand the lay of the land. Hangzhou Tourism Commission in China. Also find out about our experiences of launching a product at the consumer electronics (CES) show in Las Vegas. If you’re looking for more tips, get in touch with us or tweet us @pragencyone.